A few years after Anna Wellington Stoner and her husband, Clinton Stoner, moved to Bullshead, Edwards County in Texas, Clinton died in 1884. 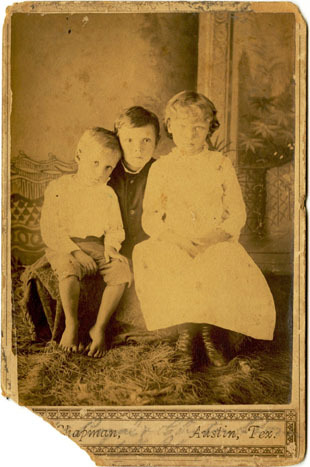 In October of the same year, Anna moved her three small children (pictured) back to the Nueces River Canyon and bought 320 acres of land there. This was the beginning of the Stoner Ranch, which has grown to 2,000 acres today. [Waco] Branch Davidians: Bill Pitts papers, 1963-2001, undated: This collection contains materials produced and collected by Bill Pitts, a professor in the Religion Department at Baylor University. The materials primarily cover the Branch Davidians siege of 1993. Benjamin Edwards Green papers, 1840-1865: Green’s papers consist of a postcard, pamphlets, written notes, an unpublished manuscript and other chapter fragments. Among other roles, Green was a lawyer, served as an American diplomat at the Mexican capitol in the early 1840s, and was a secret agent in the West Indies. James Weldon Jones papers, 1917-1919, circa 2010: This collection contains a series of letters sent from Alexander “Tip” Jones to his son, James Weldon Jones, while the latter was serving in the United States Army during World War I.
Vivienne Malone-Mayes papers. Inclusive: 1966-1977, undated: Malone-Mayes’ papers consists of correspondence, minutes, reports and other records related to her terms as a member and Chairperson of the Board of Trustees for the Heart of Texas Region Mental Health Mental Retardation Center in Waco, Texas. The collection also contains personal materials and coursework Dr. Malone-Mayes assigned in her mathematics courses at Baylor University. She was Baylor’s first black faculty member. Vivienne Malone-Mayes was a trailblazer for women, particularly African Americans, in the mathematics profession. In 1966, she became only the fifth African American woman to earn her PhD in that field. 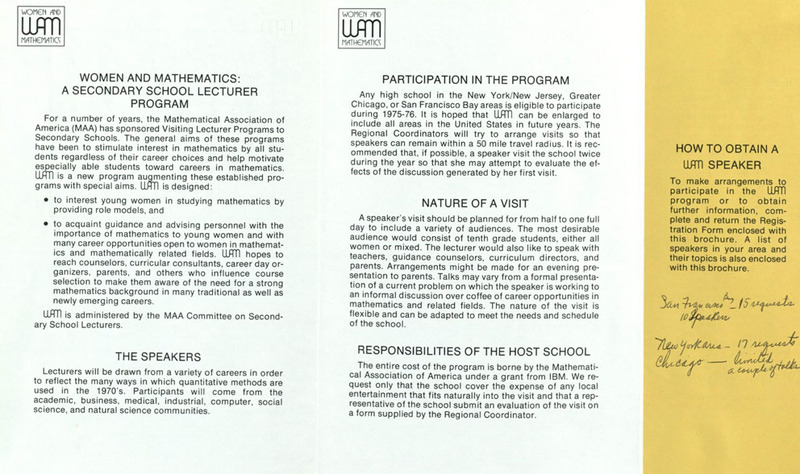 After gaining employment at Baylor University, Vivienne did her part in encouraging women to pursue careers in mathematics, including editorial and consultation work with the Mathematical Association of America. Irwin Green and Lillie Worley McGee papers, 1893-1899, undated: The McGee papers consist of notes, assignments, and exams produced by Irwin Green and Lillie Worley while attending Baylor in the 1890s, providing insight into Baylor’s curriculum during this period. Walter Hale McKenzie papers, 1926-1952: The McKenzie papers contain correspondence and board and committee minutes illustrating McKenzie’s relations to prominent Baptists J.G. Hardin, George W. Truett, Pat Neff, and others, and his service to Baylor University, Baylor College for Women, and the Baptist General Convention of Texas. Wellington-Stoner-McLean family collection, 1833-2007, undated: This collection consists of family documents collected by Margaret Stoner McLean. The collection includes correspondence and postcards, photographs, financial documents, books, personal ledgers, and publications about the family and the Stoner ranch.